When it comes to food storage, the reliability of control equipment used matters. A major European manufacturer of storage and climate control systems for the agricultural industry has chosen to install Michell’s PCMini52 humidity and temperature probes to monitor temperature and humidity conditions in the systems they supply. After extensive field tests the probe was selected not only due to its overall resilience, resistance to contamination and reliability, but also for its small size. Climate control for storing and transporting fruit and vegetables calls for cool but humid conditions. Ideally, the humidity should be kept at around 80%, but not more than 95% RH. If conditions are too dry the fruit will wither: too damp and it will rot. While this atmosphere is ideal for fruit and vegetables it is extremely demanding for the electronics of any control equipment. The employed instrument’s electronics must therefore be well protected from the humidity to ensure reliable, automatic operation of the climate control system over longer periods. A response time of less than 10 seconds for the PC Mini52 sensors allow the control system to rapidly adjust the climate to the ideal conditions so no product is wasted during storage. 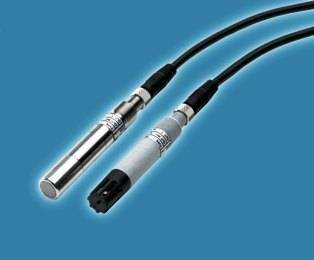 With the miniature size, the simplicity and robustness the PC Mini52 humidity and temperature sensors can be easily maintained by either the end user or a service technician once the climate control system has been installed in the field.